The Fujifilm XF 100-400mm F4.5-5.6 R LM OIS WR lens offers outstanding image quality, excellent construction and weather-proofing, quick, quiet and reliable auto-focusing, and very effective image stabilisation, not to mention the longest focal length of any XF lens. Image quality is commendably fantastic throughout the zoom range both at the centre and edges of the frame, with excellent sharpness at almost all available apertures, while the nine-blade iris diaphragm achieves some lovely bokeh effects. Vignetting is practically a non-issue at either end of the zoom range, and chromatic aberrations are only noticeable by their almost complete absence. Our only concern about image quality is slight softening when shooting wide-open at f/5.6 at the 400mm focal length, but otherwise this lens delivers in spades. 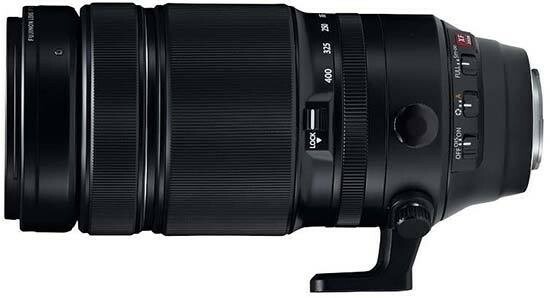 The Fujifilm XF 100-400mm F4.5-5.6 R LM OIS WR benefits from a fast and pleasingly quiet auto-focus mechanism, generously wide zoom ring and a welcome aperture ring which makes it quick, easy and precise to set this key element of exposure, although we wish it was marked as with the XF 50-140mm lens. The lens mount is, thankfully, made of metal (brass, nonetheless) and, thanks to an internal focusing (IF) system, the front element and filter thread do not rotate on focus, which is very good news for those using polarisers and ND grads on a regular basis. The lens does extend quite a long way when zooming out to 400mm, though, which makes it even more unbalanced on an X-series camera body - you'll definitely need to fit a battery grip for better handling. Priced at £1399 / $1899, the Fujifilm XF 100-400mm F4.5-5.6 R LM OIS WR is the largest, heaviest and most expensive XF-series lens to date, but we're certain that wildlife and action photographers will be delighted by the image quality that it delivers. Highly Recommended!